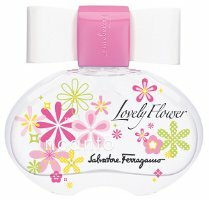 Salvatore Ferragamo has launched Incanto Lovely Flower, a new fruity floral fragrance for women. Incanto Lovely Flower is a flanker to 2003′s Incanto, and follows 2009's Incanto Bliss and 2010's Incanto Bloom, among others. The notes include bergamot, wild strawberry, redcurrant, peony, jasmine and benzoin. Salvatore Ferragamo Incanto Lovely Flower is available in 30 and 50 ml Eau de Toilette. Just how many Incantos are they up to now?